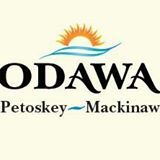 Odawa Casino Resort, a Petoskey hotel, has 127 rooms and 10 suites and more than half the rooms offer views of Little Traverse Bay. Restaurants and nightlife on premise. Shuttle to the Odawa Casino, with 1,500 slots, dozens of tables and a poker room. Located near Petoskey restaurants and shopping, Little Traverse Bay and Northern Michigan golf and ski resorts. Conferences at this Petoskey casino and resort can be both professional and laid-back—striking a balance that allows for maximum creativity and productivity. Six banquet rooms ensure comfortable accommodations for groups of all sizes, from the Superior Room, suitable for up to 14 people, all the way to Ovation Hall, with space for 1,000 (or 600 seated banquet style). When it’s time to let loose, hit up the slots or table games, or arrange a private motor coach tour of the region, which serves up beauty in spades.